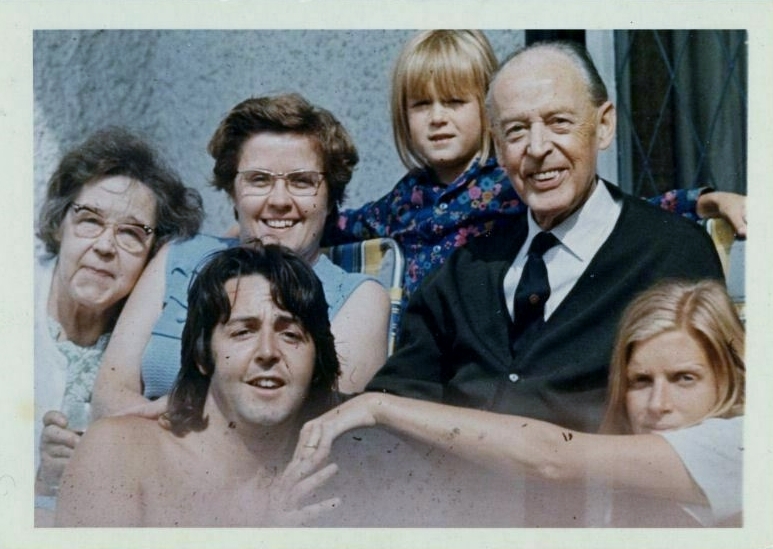 Who is next to Angie McCartney? My guess is one of Paul's aunties. Could that be Angie's mom? To me, this lady looks a lot like Angie. Also, the body language between the two could be a hint. Jim looks great in this photo! Paul is looking more and more like Jim McCartney! More importantly is when EXACTLY was this pic taken. When did Paul & Linda visit his dad in 1969 and is it in Liverpool? Obviously Summer so July/Aug I guess? looks like Linda is 'showing off' the ring- engagement or wedding ring?